We will be utilizing Walk-Through Metal Detectors for this event. Please plan accordingly by reviewing the list of prohibited item found here. For convenience and ease of getting all patrons into the building as quickly as possible, please do not bring any unnecessary bags. Both the South (Main) and East entrances will be open for this event. Pay attention to all staff directions will enterting the complex as they will direct you to the correct parking area. For convenience and ease of getting all patrons into the building as quickly as possible, please do not bring bags as we will have express lane options available. If you have floor tickets for the concert, please park in Lot G and enter the Budweiser Events Center through the East Doors. Event Parking Map Coming soon! 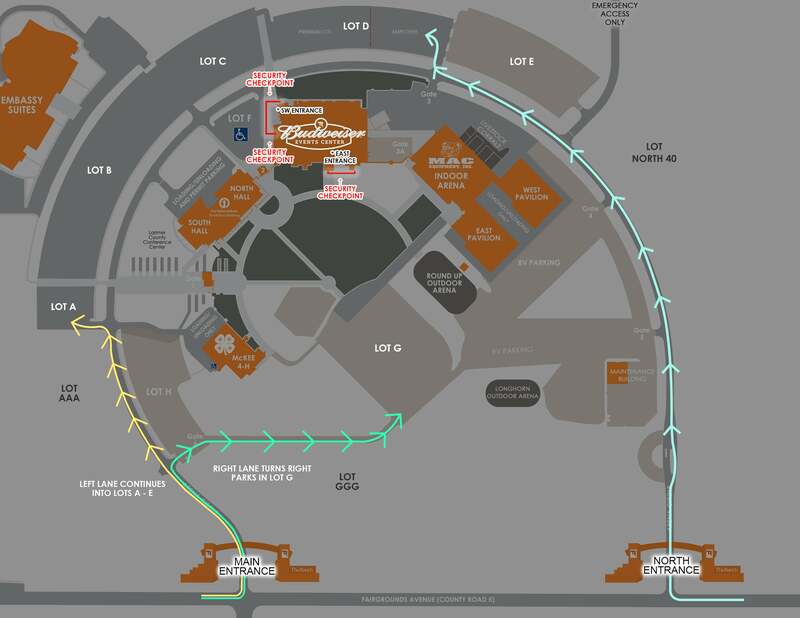 If you have floor tickets for the concert, please follow the directional signage towards Lot G and enter the Budweiser Events Center through the East Doors. Pay attention to all staff directions will enterting the complex as they will direct you to the correct parking area; be sure to reference the parking map for this concert (coming soon). 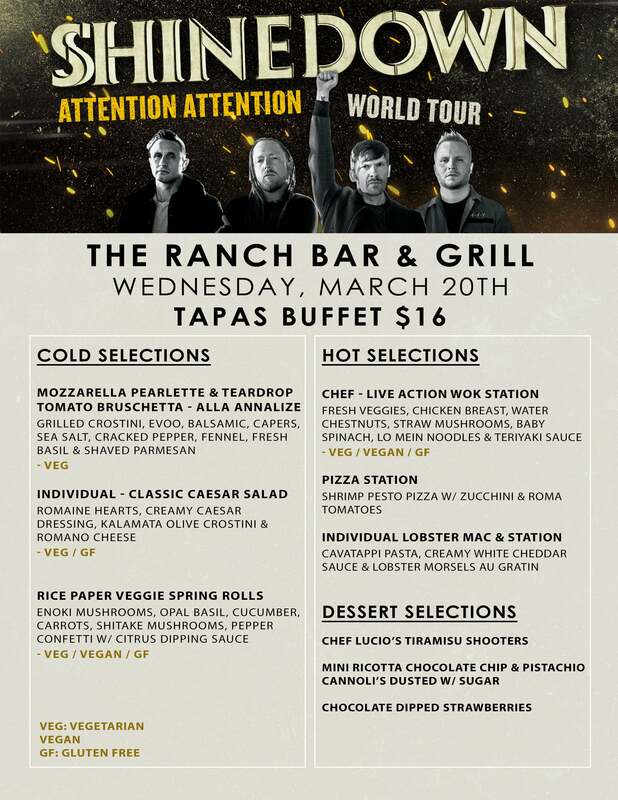 Shinedown will perform live with special guests Papa Roach and Asking Alexandria. All Floor tickets are Standing General Admission. All Bowl tickets are Reserved seating. All patrons age 2+ must have a ticket. 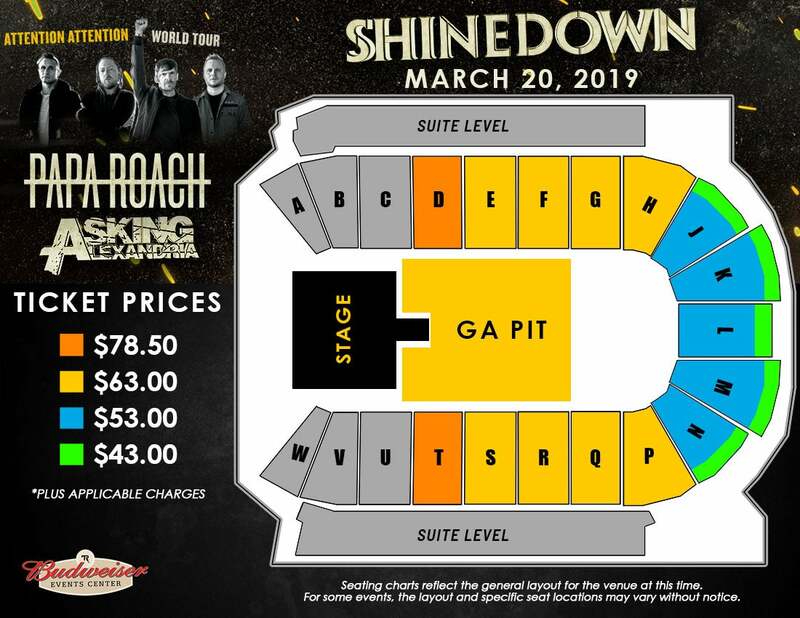 *Each ticket purchased online for this show comes with a digital copy of Shinedown's latest album, Attention Attention. You will receive instructions via email within 14 business days. Not available on re-sale tickets. ©2019	The Ranch, Larimer County Fairgrounds & Events Complex	All Rights Reserved.